She never forgot the people who saved her life — and knew they'd keep her baby safe, too. 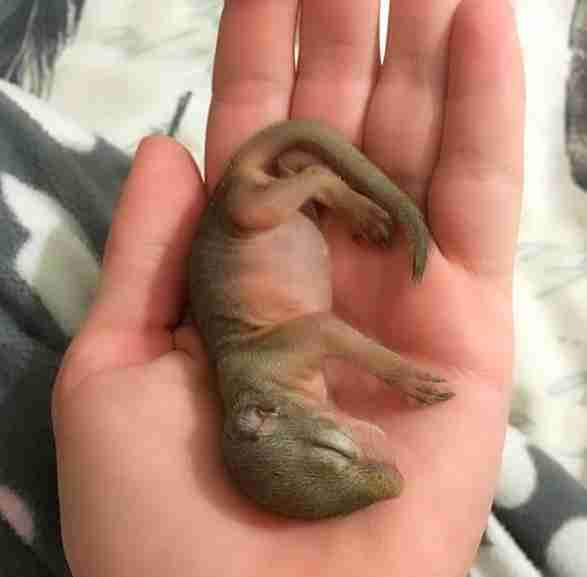 It was a cold and windy day in South Africa in October 2016 when a tiny tree squirrel fell out of her nest. 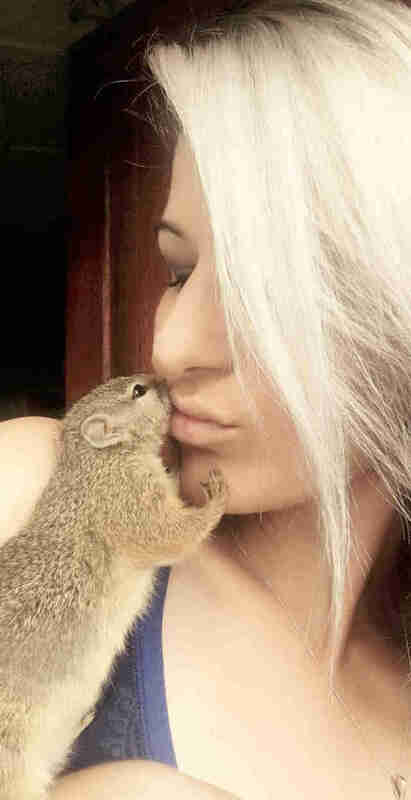 Simone Serfontein was at her friend's house when the squirrel, now known as Dingetjie, fell into the yard. Dingetjie cried and cried for her mom, but her mom never returned. Serfontein didn't know it when she decided to take Dingetjie home to help her, but this would become just the beginning of a long story. At the time, Serfontein was just trying to make sure Dingetjie would survive the night. "When we picked her up her body temperature was very cold and she was obviously very scared," Serfontein said. "Her eyes were still closed ... We kept her nice and warm and she eventually stopped screaming." Serfontein and her boyfriend Christof had to learn a lot in a short amount of time. 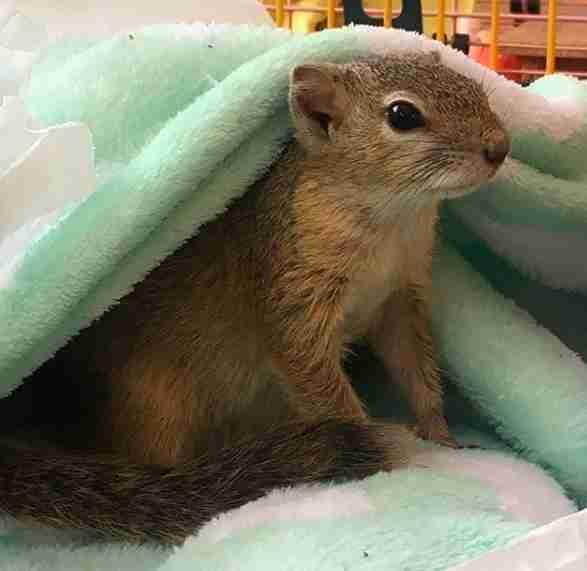 "I did not really know anything about raising a baby squirrel and had to do a lot of research," Serfontein said. She had to get up several times per night to feed little Dingetjie. 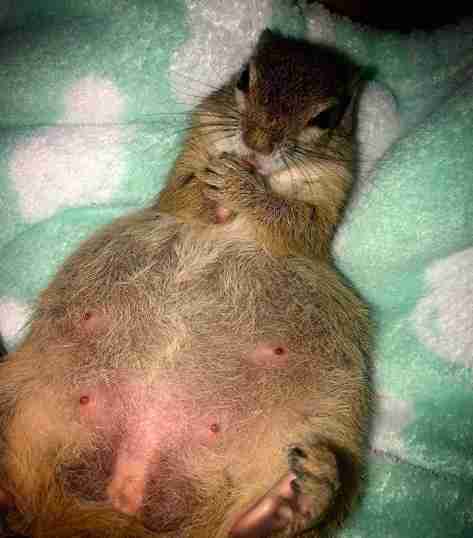 "I never knew that raising a squirrel could be this hard." In addition to basic needs like warmth and food, Dingetjie also had specific wants. "She did not like the idea of being in a cage at all," Serfontein said, describing how she made a warm little nest for Dingetjie in a shoe box where she could sleep. This also didn't quite work for Dingetjie. "It was only a matter of time until she refused to sleep in the shoe box and preferred the bed with me." 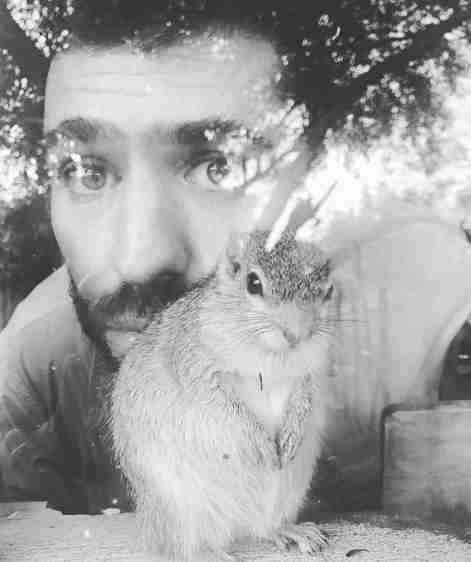 Serfontein knew that the time she had with Dingetjie was limited — the squirrel was still a wild animal, and it would be wrong to keep her locked up in a house forever. "We always knew that the day would come for us to release her and say goodbye," Serfontein said. After a few months, Serfontein decided it was time to reintroduce her to the wild. Serfontein happens to live in one of the most wild places in the world. 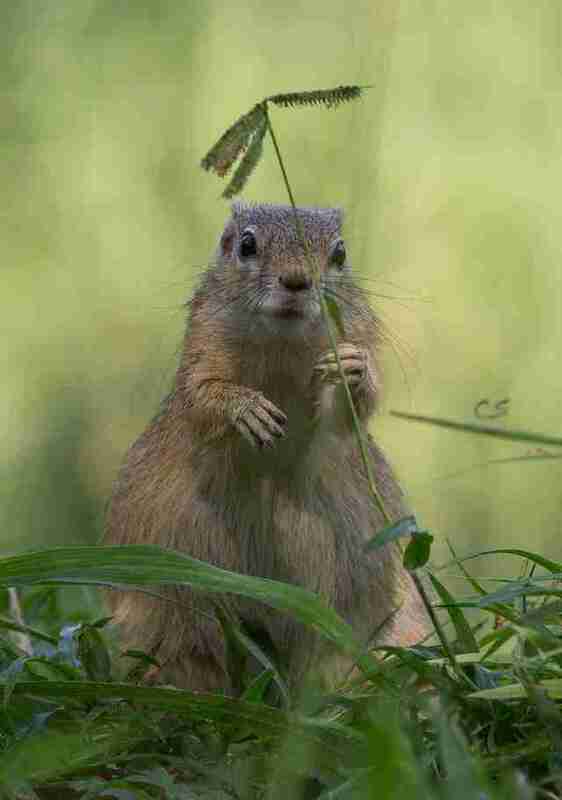 "We live in the Greater Kruger National Park in South Africa and everything is wild around us," Serfontein said. "There are many dangerous animals around us that she can run into and she needed to be ready for that." 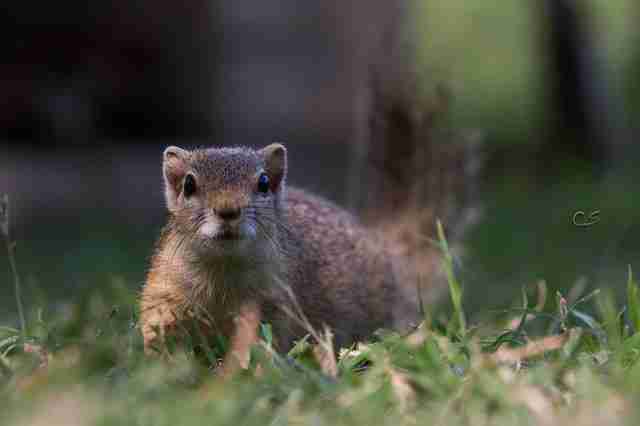 The couple took Dingetjie into the yard and put her down on the grass to see what she would do. "Next thing, she got into a tree and her natural instincts immediately kicked in," Serfontein said. "It was pretty amazing and sad at the same time." As hard as it was to say goodbye, Serfontein knew it was best for Dingetjie to be wild. And that seemed like it was the end of the story. Dingetjie was happy to come back for a visit. She came back again. And again. "Every day for the first few months was a bit stressful saying goodbye; I always thought that this could maybe be the last time I see her," Serfontein said. 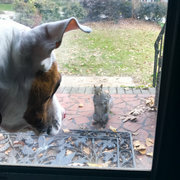 "But then every day when I came home she would be there either waiting or maybe she'd see me walking home from a tree or something and then a few minutes later she will run inside to come and say hello." "As it turned out, she never totally took off; she always, always, always came back," Serfontein said. "We eventually started to leave the window open for her during the day while working so she can come and go as she wants." And even though Dingetjie knows how to make her nests in trees, Serfontein often wakes up to find Dingetjie snuggled up beside her in bed. "She knows this house is a safe and warm place," she said. By the time Dingetjie was just barely 6 months old, this had become a common routine. 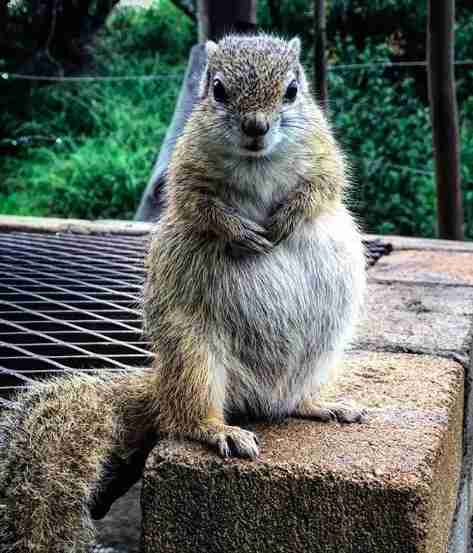 And even though Dingetjie was a growing squirrel, she seemed to get quite pudgy around the edges. "We realized she was picking up a lot of weight," Serfontein said. 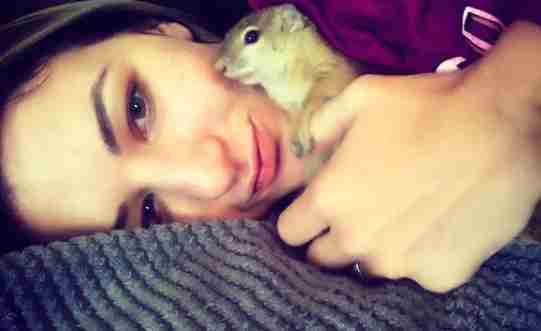 "We knew she made a few squirrel friends but also thought that she was not yet sexually active. We then discovered that she was pregnant." Dingetjie decided to stay in the house most of the time during her pregnancy. She made a nest in a drawer using toilet paper. Then one night, the couple returned from dinner and realized that something sad happened. "She was not in the bed or anywhere to be found," Serfontein remembered. "We thought she left, and because she was pregnant, she might have decided to be wild after all. But that was not the case." Dingetjie was in labor in her toilet paper nest. "We had to assist her during birth as she fell asleep and did not have any energy to complete the process," Serfontein said. Sadly, the baby was stillborn. "I believe she was not ready because she was barely 6 months old," she said. Just over a year later, though, Dingetjie started looking similarly plump. 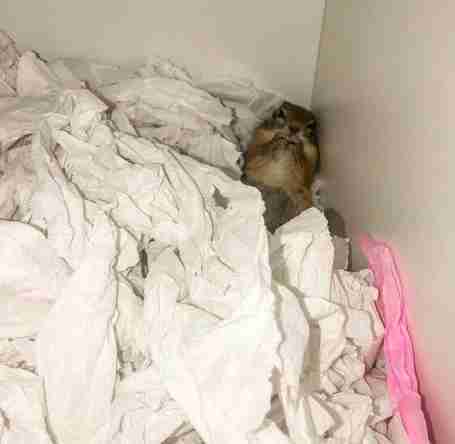 She returned to the house and was given as many rolls of toilet paper as she wanted to construct a new nest. In fact, she constructed several nests around the house. On April 24, Dingetjie went into labor for the second time. 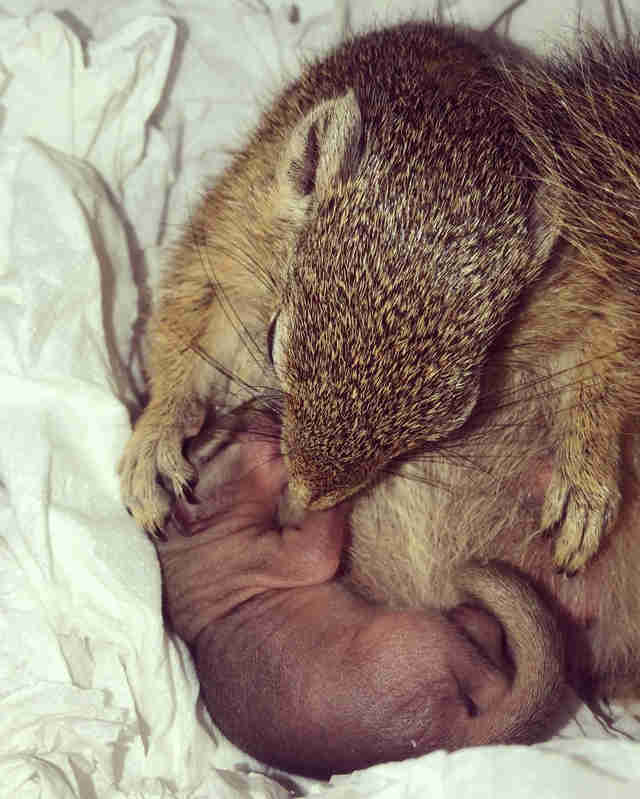 This time, Dingetjie became a mom to a healthy baby girl squirrel — and she has let Serfontein be by her side every step of the way. "There is so much trust," Serfontein said. "She allows us to look, touch and hold her baby." 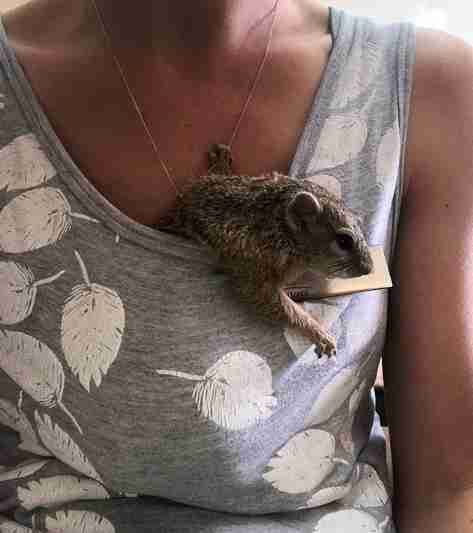 Watching Dingetjie learning how to be a mom with her newborn is something Serfontein cherishes — and it's also something she had no idea she'd be privy to when she first rescued that little squirrel nearly two years ago. Even though Dingetjie is wild and spends much of her time outdoors, she seems to have realized Serfontein's home is a safe place for her to keep her baby. "We never thought she would stay with us," Serfontein said. "But she chose to." 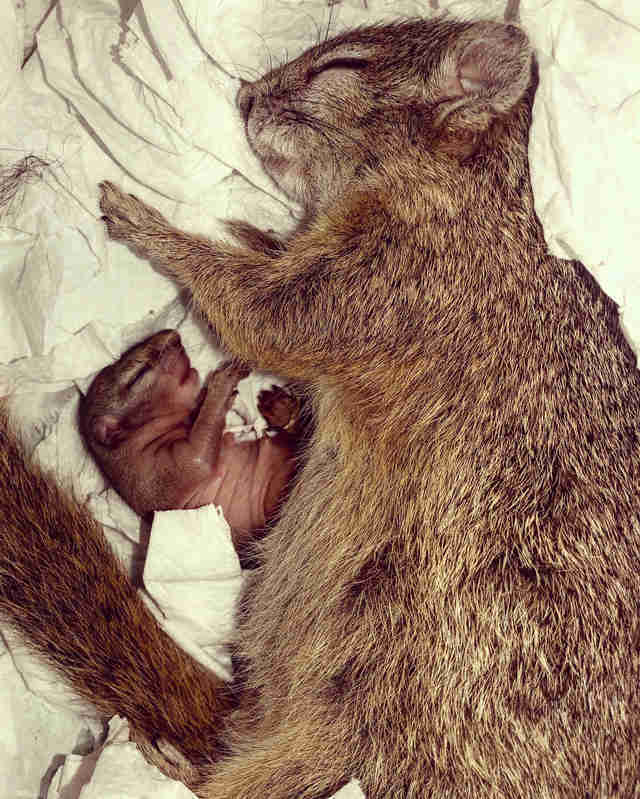 "She’s such a smart and clever squirrel," Serfontein said — and now Dingetjie is an extremely devoted mom, too. "I really think that it’s impossible to ever explain the relationship we have with her and the relationship she has with us," Serfontein added. "It’s honestly the most incredible thing I have ever experienced." 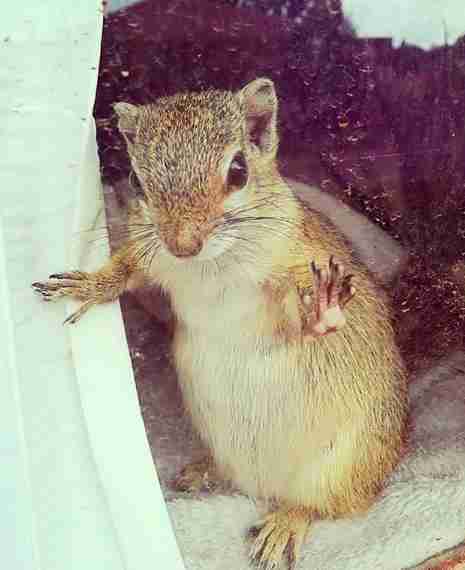 If you find a baby squirrel it's best to contact the experts. Here are some tips.